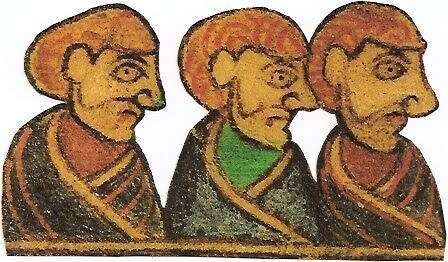 Tríar Manach: Q: When are three monks not three monks? A: When they are Genii Cucullati. These guys don't look all that different from the missionary monks on the Shetland stone. 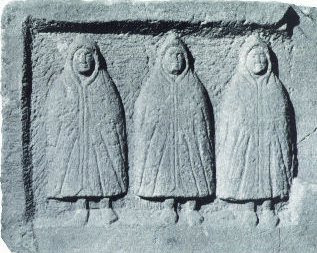 They appear to be wearing the same hooded woolen garment, known as the birrus or cucullus. This representation of a trio of Genii Cucullati (or Hooded Spirits) comes from Housesteads in Northumberland, along Hadrian's Wall, but images of them, often as a group of three, were common throughout the Romano-Celtic world. 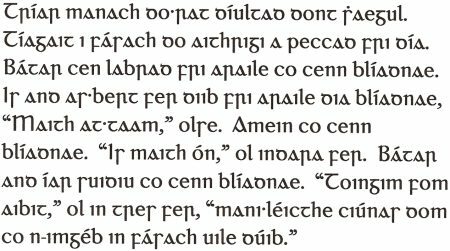 There are no associated inscriptions, and their exact role in Romano-Celtic religion is uncertain.